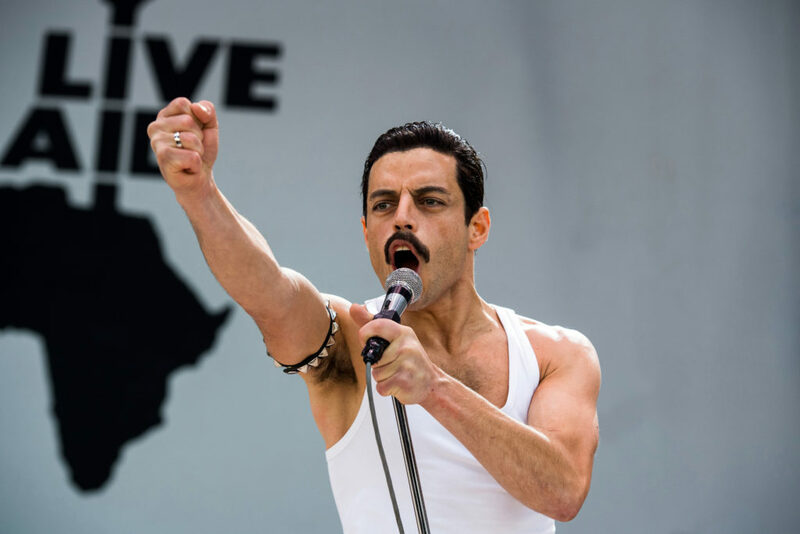 I watched Bohemian Rhapsody on my flight back from the Middle East last week, and I have been listening to Queen songs on repeat ever since. It is absolutely brilliant by the way – I completely loved it. I grew up listening to Queen at home and on most car journeys with my family, and if there was one band alive or dead who I could choose to see for a single live performance it would definitely be them. The movie ticked all the boxes, and reminded me just how much I love their music. 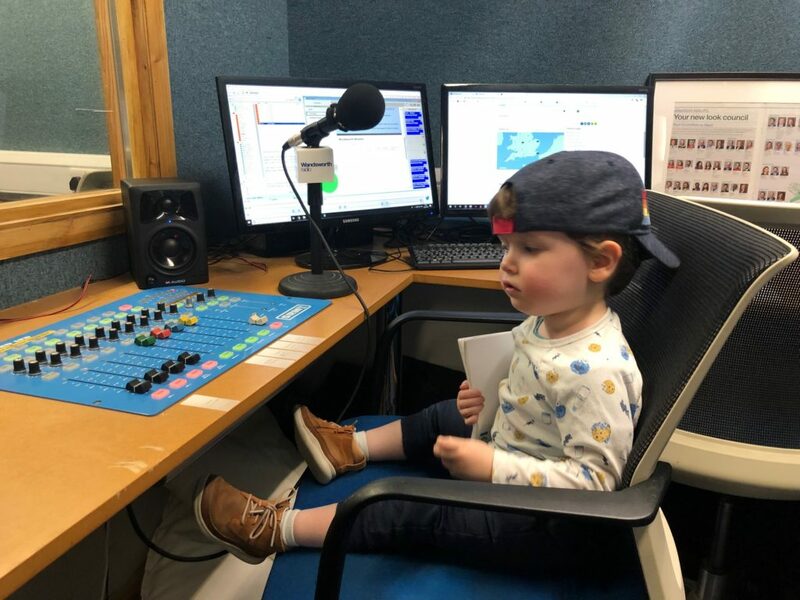 So when an opportunity arose this week to go and visit a local radio station – and take the little man along, of course – I was obviously Radio Gaga about it (sorry – I’m afraid there are lots more of these to come). 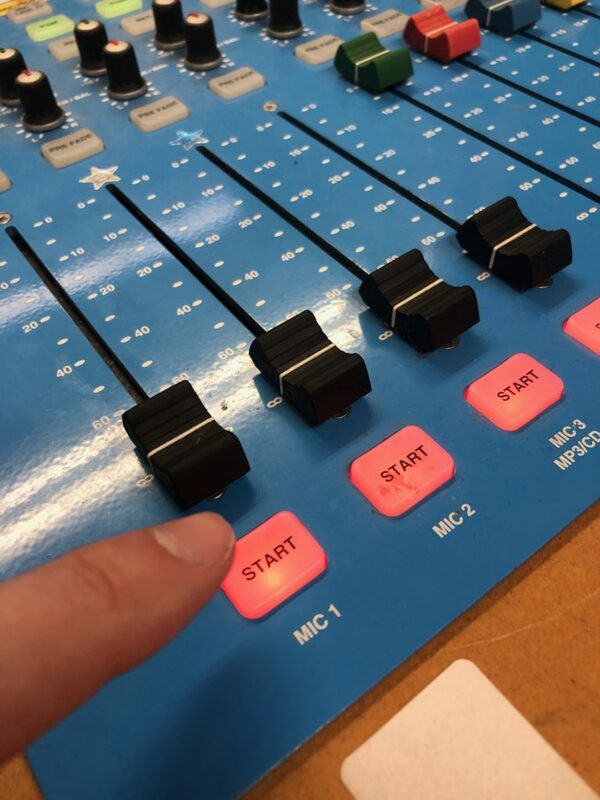 About ten years ago I was working as a producer at Edinburgh station Talk 107 (which Bit The Dust shortly after I left) so I’m no stranger to a radio studio, but I thought it might be a fun thing to do with Marley, what with all the people and buttons and flashing lights. Wandsworth Radio is a community station soon to be making the Breakthru in to the neighbouring boroughs of Richmond, Merton and Lambeth and is run by an awesome team of volunteers. Full disclosure: I was actually going along half-hoping I might be able to convince them they need to sanction a show presented by a dad blogger who likes to talk a lot and who could interview some interesting people for them. Basically, I Want To Break Free from doing only written blog posts and have considered starting a companion podcast for a while now, so I figured if I could gain the support of a local station to do that then that would be very cool. Not that I Want It All, or anything…. Anyway, we had a great time – we were shown around the studio by the Station’s Director, Jason Rosam, who was kind enough to let us go in and watch a live show being broadcast. 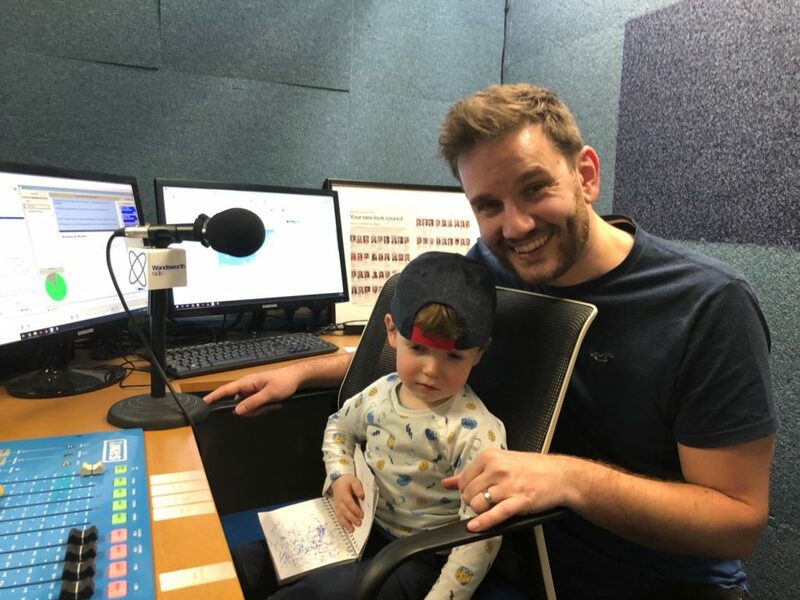 We even got a shot in the news booth – where Marley started Going Slightly Mad because daddy wouldn’t let him press the buttons. We did get away with it when Jason wasn’t looking, though…. Afterwards, the bus home was absolutely packed, and Marley fell asleep on me. Just as I was carrying him off, we had to squeeze past a group of Fat Bottomed Girls and he must have gone Headlong in to them because, unknown to me, his hat came off. To be fair, I have form for this kind of thing…I leave stuff everywhere. But this was a particularly upsetting item to lose. I mean, look at him wearing it….he’s like a little Good Old Fashioned Lover Boy. I miss working in radio, so hopefully some Kind of Magic opens up an opportunity again in the future. For now at least, Valentine’s Day is almost upon us. And with many, many years’ experience of getting to this stage in the past and being completely unprepared, I’m going to write a post about some Valentine’s Day hacks to help other useless lovers out. 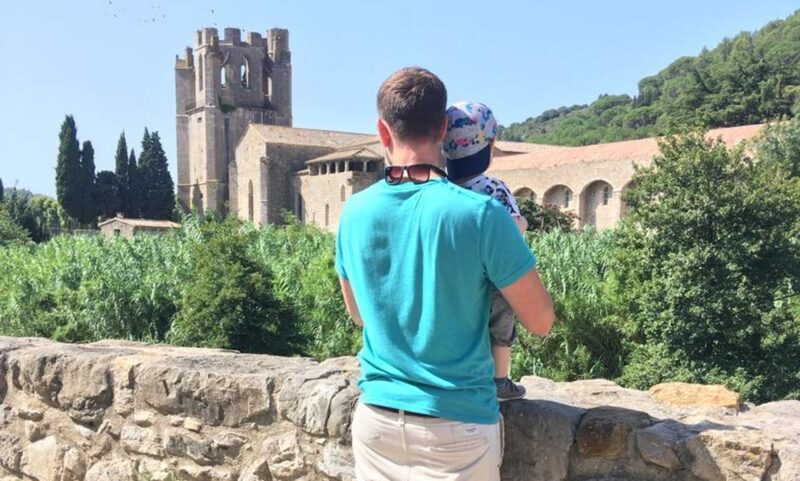 Knowing me, it will probably take me so long to write it that I end up forgetting to buy a gift for my wife, so I might need to apologise in advance…. OK, that’s enough now…..have a good week! Next PostNext Happy International Women’s Day!